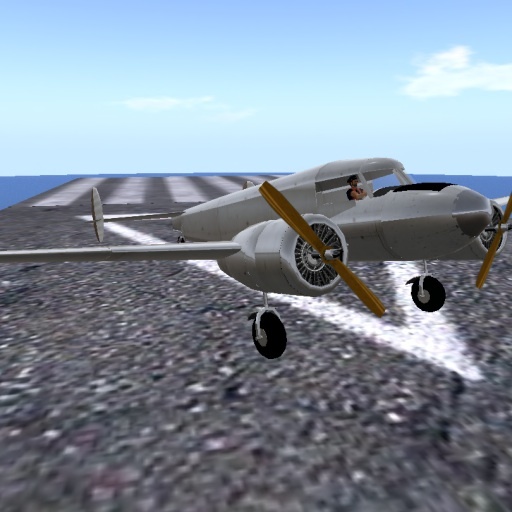 The Lockheed Electra was a popular aircraft from the 1930s-1950s. It was used by Amelia Earhart in her final flight. It was also used as an airliner, seen in the last scene of Casablanca with Humphrey Bogart (“I think this is the beginning of a wonderful friendship…”). 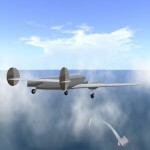 A request came in for a reproduction of this famous craft in Second Life. I was able to build this in about 3 hours. Scripting was provided by Cubey Terra, modified by Grey Nolder, an accomplished builder and friend. Below is a gallery of the plane during the construction.